Sexual selection theory predicts that males in polygynous species of mammals will invest more reproductive effort in mate competition than parental investment. A corollary to this prediction is that males will mount a stress response when their access to mates is threatened. Indeed, numerous studies have shown that males exhibit elevated stress hormones, or glucocorticoids (GCs), when their access to females, or a proxy to this access like dominance rank, is challenged. In contrast, the relationship between stress hormones and paternal effort is less obvious. We report results from a study of wild male chacma baboons indicating that males experienced elevated GC levels during periods of social instability following the immigration of a dominant male. 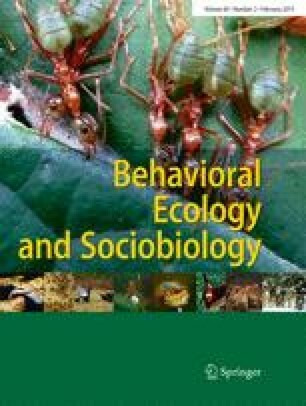 These effects were strongest in males whose mating opportunities were at greatest risk: high-ranking males and males engaged in sexual consortships. Males involved in friendships with lactating females, a form of paternal investment, also experienced high GC levels during these periods of instability. There was a tendency for males with lactating female friends to reduce their time spent in consortships during unstable periods, when the risk of infanticide was high. Thus, even in a highly polygynous mammal, males may have to balance paternal effort with mating effort. Males who invest entirely in mating effort risk losing the infants they have sired to infanticide. Males who invest in paternal care may enhance their offspring’s survival, but at the cost of elevated GC levels, the risk of injury, and the loss of mating opportunities. We thank the Office of the President of the Republic of Botswana and the Botswana Department of Wildlife and National Parks for permission to conduct research in the Moremi Reserve. We are grateful to R. Hoffmeier, K. Seyfarth, E. Wikberg, M. Mokopi, and A. Mokopi for assistance with data collection. We thank J. Beehner for comments and R. Mundry for advice on statistics. Research was supported by the National Science Foundation, the National Institutes of Health, the Leakey Foundation, the National Geographic Society, and the University of Pennsylvania. This project complied with regulations in the Republic of Botswana (Department of Wildlife and National Parks) and in the USA (University of Pennsylvania, Animal Care and Use Committee, Protocol no.19001).